​ASSOCIATE LEVEL PERSONAL INSURANCE DESIGNATION. COMPLETE ONLINE COURSE - covers everything that will be on the API™ exam. Designed for faster, easier studying. Completely online and downloadable as a PDF for those that would rather print a physical copy of the course. 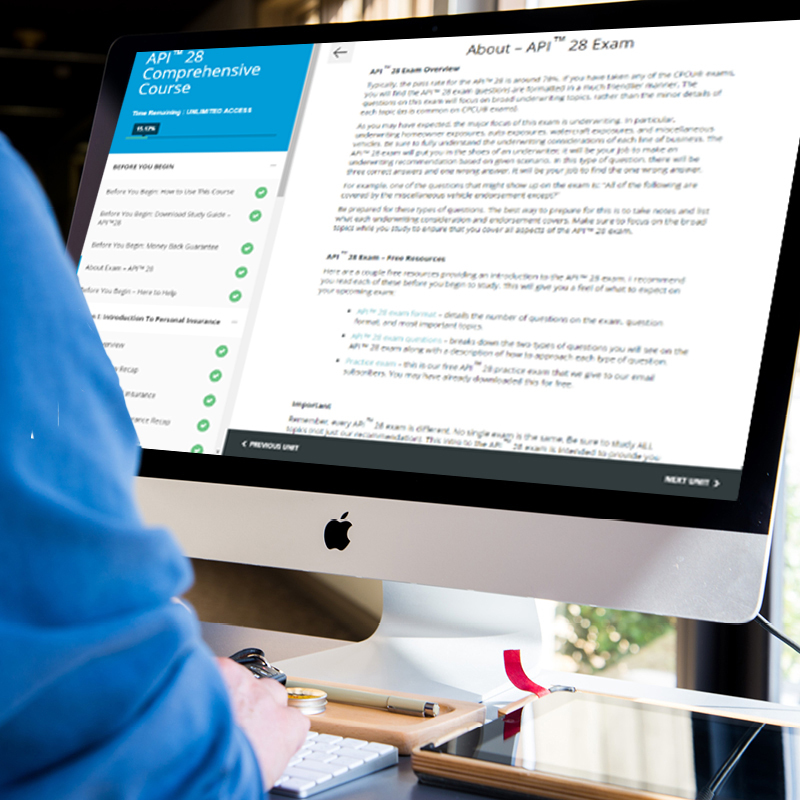 350+ PRACTICE QUESTIONS - quiz questions for each topic of the API™ exam to ensure you grasp the main concepts. 2 COMPLETE PRACTICE EXAMS - formatted exactly like the actual API™ exam (with the same number of exam questions) to give you a "real exam" feel. 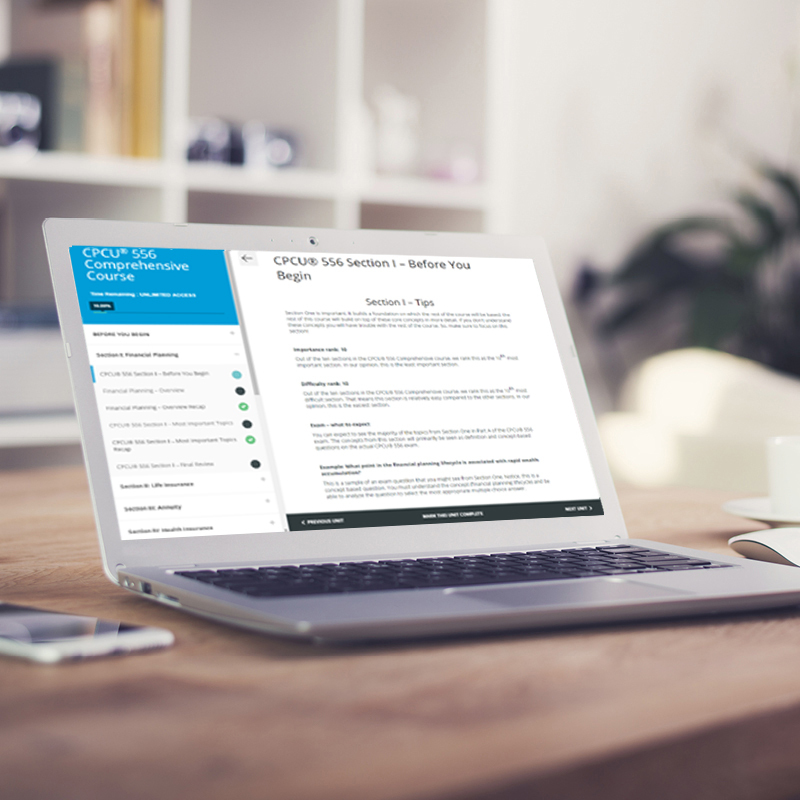 INSIGHT - course includes our insight detailing what to expect from each chapter on the API™ exam, detailed answer explanation of each quiz question, and our personal email support to provide advice on any question or exam topic. The API™ Designation helps insurance professionals gain the real-world skills needed to increase their confidence in working with upper management, supervisors, peers, and clients. 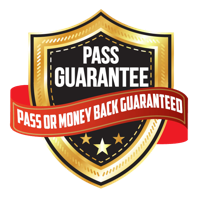 The API™ designation should be pursued by all insurance professionals in the personal insurance field. This designation helps all insurance professional increase their overall personal insurance knowledge and advance their career with a highly respected designation. Compared to other designations, such as the CPCU®, this designation is much quicker and is most beneficial for insurance personnel such as underwriters, customer service representatives, marketing representatives, adjusters, analysts and producers who deal in personal lines. We highly recommend the API™ designation option 1 since two of the exams (CPCU® 555 and CPCU® 556) count both towards the API™ designation and the CPCU® designation. 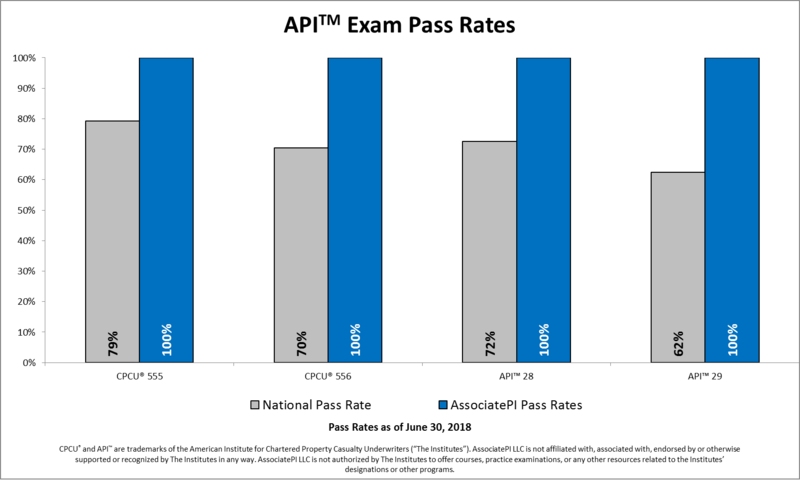 The API™ 28 exam is the first API™ exam in a series of three required exams to complete your API™ designation. 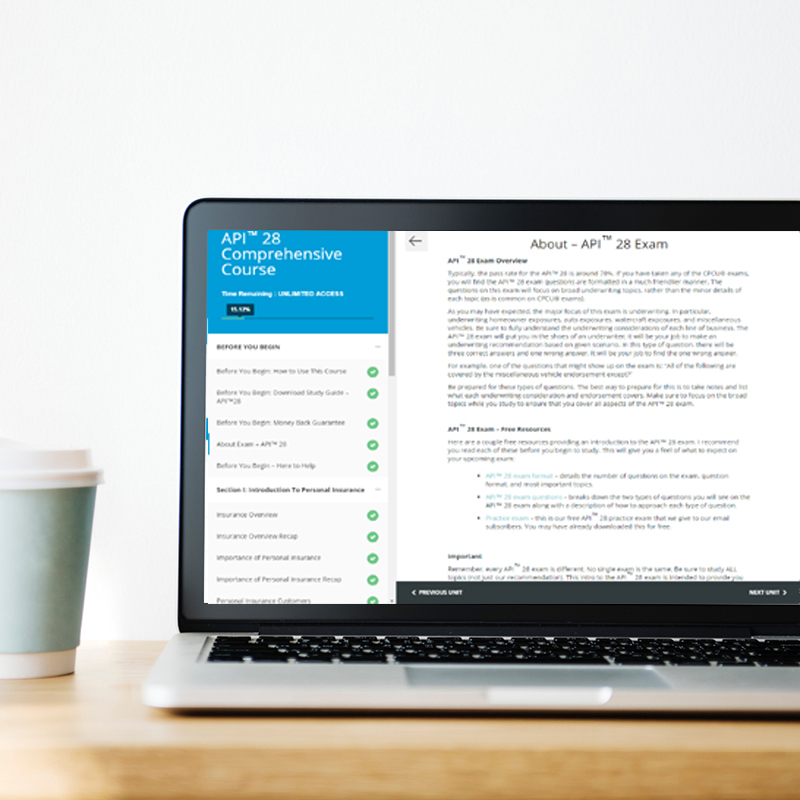 The API™ 28 exam is a 90-minute exam consisting of 55 multiple choice questions broken up into two sections, part A and part B. The CPCU® 555 exam is the second API™ exam in a series of three required exams to complete your API™ designation. The CPCU® 555 exam consists of 85 multiple choice questions broken up into two sections, part A and part B. 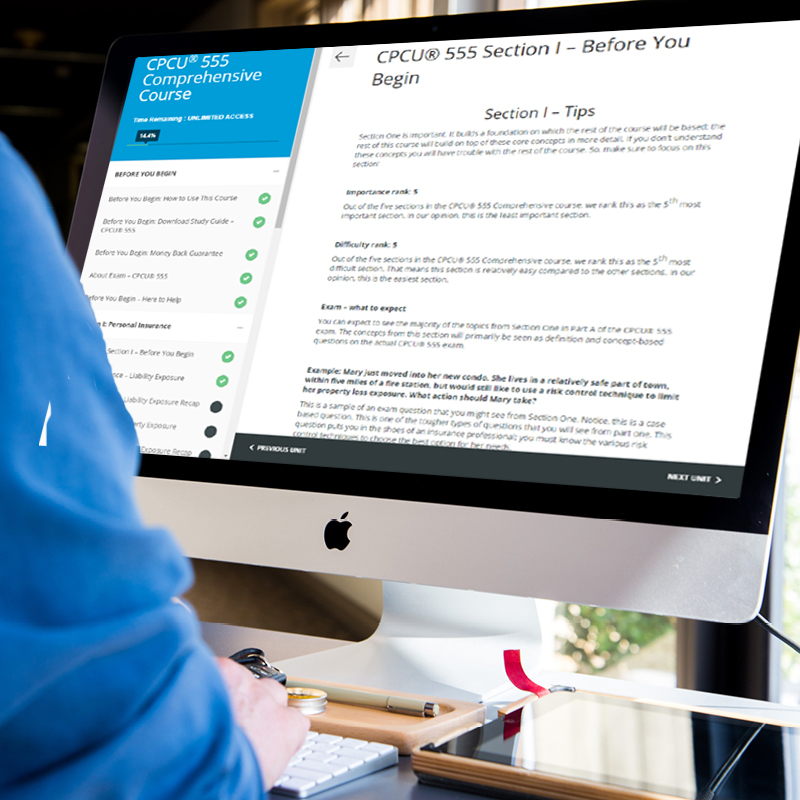 The CPCU® 556 exam is the third API™ exam in a series of three required exams to complete your API™ designation. 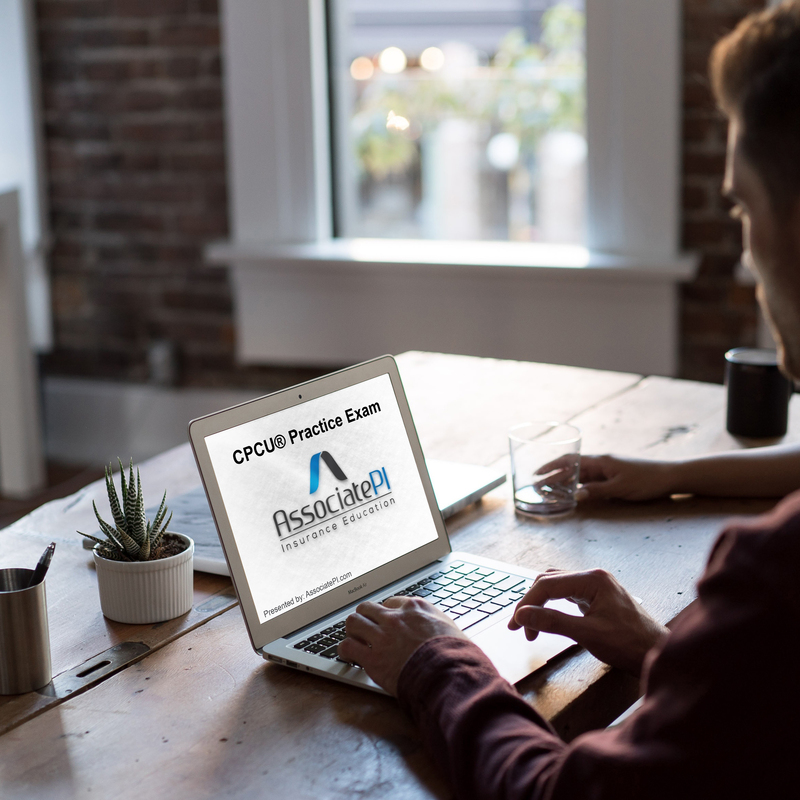 The CPCU® 556 exam consists of 85 multiple choice questions broken up into two sections, part A and part B.